UB40 are a hugely popular English Reggae and pop band, who’ve had multiple platinum selling albums and Grammy nominations over the past 30 years. 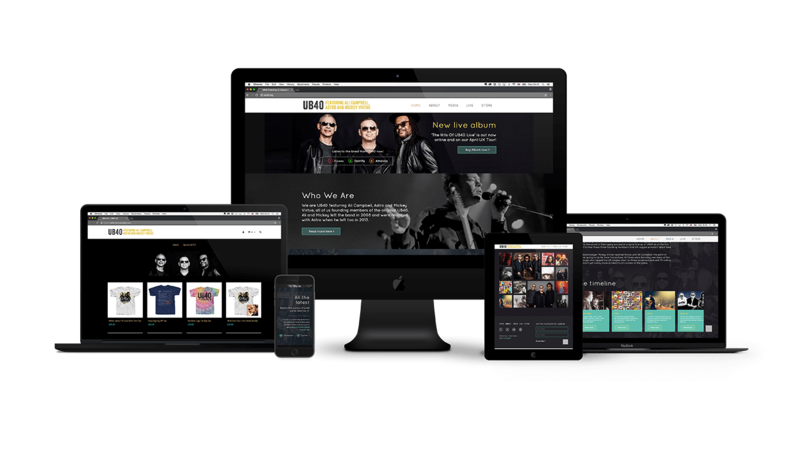 Founding members Ali Campbell, Astro and Mickey Virtue asked Above Digital’s sister company, WMA, to help them get back in touch with their fans through a whole new online presence, including a relaunched website to showcase their latest releases, tour dates, social media activity and merchandise via their online store. Above Digital worked closely with UB40 to to reconnect them with their existing fan base and persuade new ones to discover their music. We designed and built a fully responsive, stylish site capturing their history and personality. From a bespoke photoshoot, our own footage lent an intimate appeal to the site. 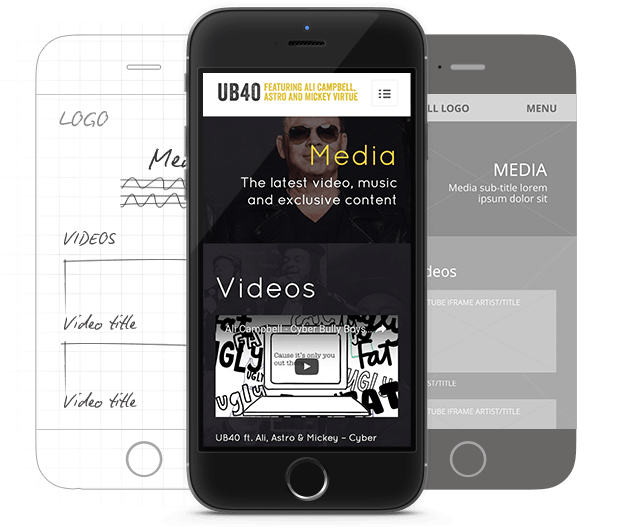 We set up web hosting and managed UB40’s social channel integration, taking care of SEO and regularly reporting and updates. Die-hard fans may now find sanctuary in the responsive timeline on the About Page. New fans can access the band’s latest content via YouTube videos or automatically updated Spotify playlists on our media page. They can also buy music and merchandise through the seamlessly integrated e-commerce store without ever leaving the site. The final website solidified the new UB40 brand with unique content and is regularly updated with new media and features.